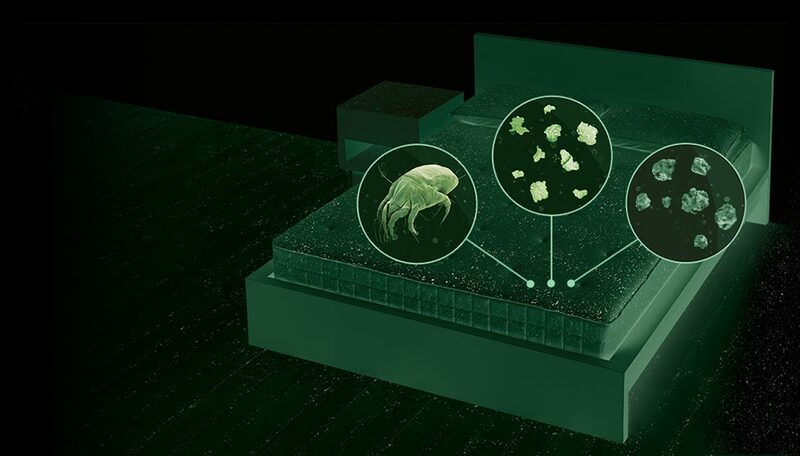 Dust mites thrive in warm, humid conditions, making our mattresses an ideal place for them to live and breed. They feed on the 28 grams of skin cells that we shed each month. Each mite can produce 20 allergenic droppings per day. The average bed contains two million dust mites. They feed on our skin cells. Each mite can produce 20 droppings per day. Many people don't realize that they could be suffering from allergies triggered by dust mite feces. Moving around in bed disturbs the feces, which then stay airborne for at least 30 minutes. 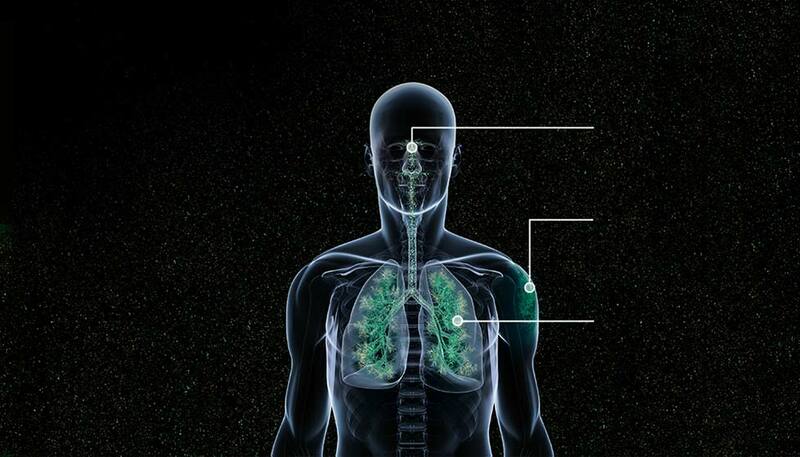 Measuring only 0.3 microns in size, they can easily be inhaled. 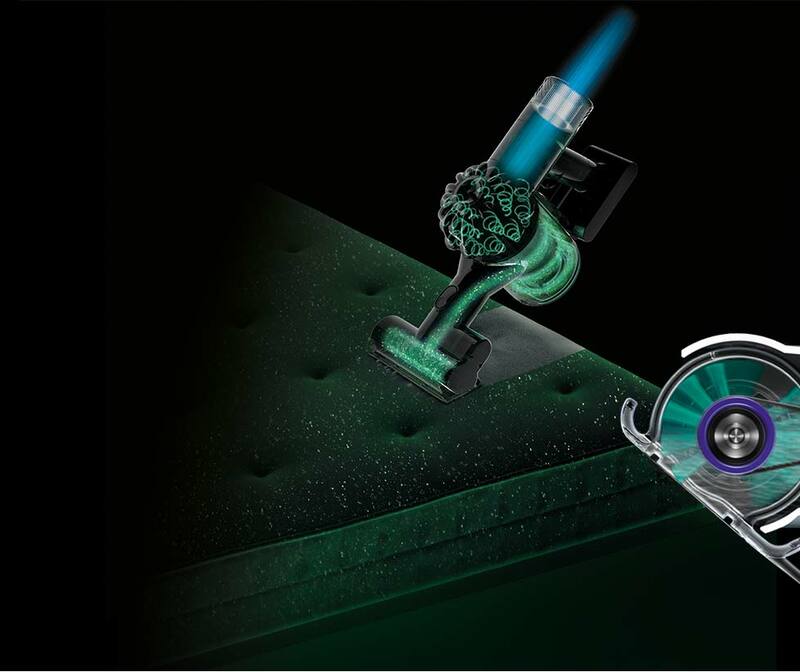 Dyson research has shown that the best way to remove allergenic dust mite droppings from mattresses is by using powerful suction. This also removes their food source — our dead skin cells — and reduces dust mite populations. 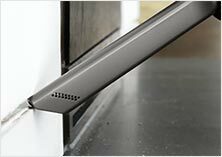 With whole-machine HEPA filtration, the Dyson V6 Mattress vacuum captures over 99.97% of particles as small as 0.3 microns, including allergens and bacteria. Fifteen cyclones, arranged across two tiers, generate powerful centrifugal forces to spin dust and dirt out of the airflow. And because the entire system is engineered to be sealed, the air that leaves the machine is cleaner than the air you breathe. 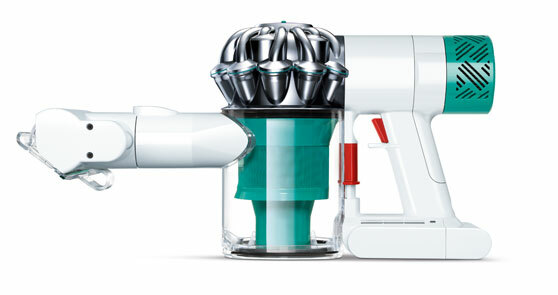 The Dyson V6 Mattress cleaner head has a powerful motorized brush bar. It pivots to maintain constant contact across the mattress. 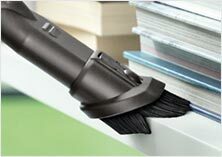 Its stiff nylon bristles agitate mattress fibers, dislodging dust mite allergens and dirt. 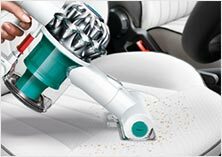 Dyson cordless vacuums use patented cyclone technology, just like their corded machines. Powerful centrifugal forces spin dust and dirt out of the air and into the bin. 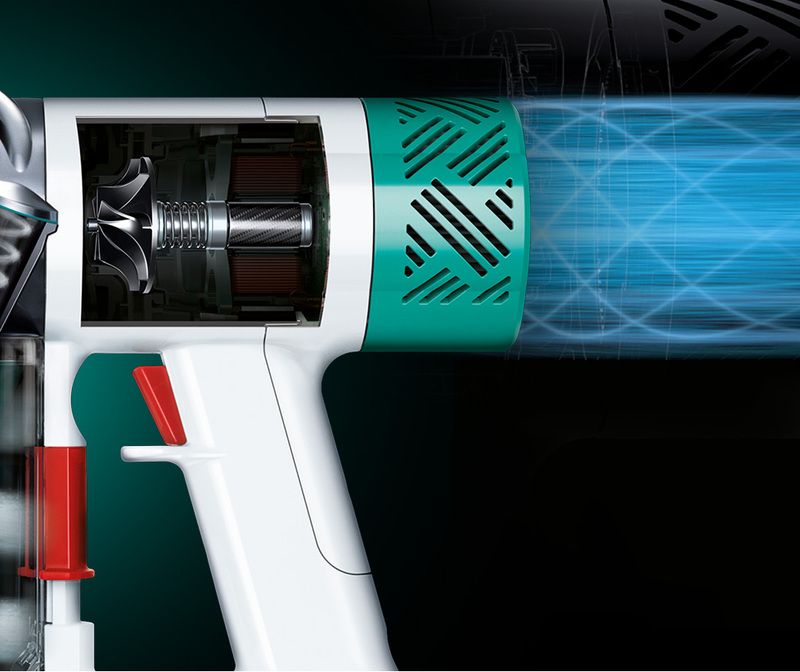 This patented cyclone technology combines with the Dyson digital motor V6 to ensure that Dyson cordless machines provide powerful suction, from the moment you start cleaning to the moment you finish. 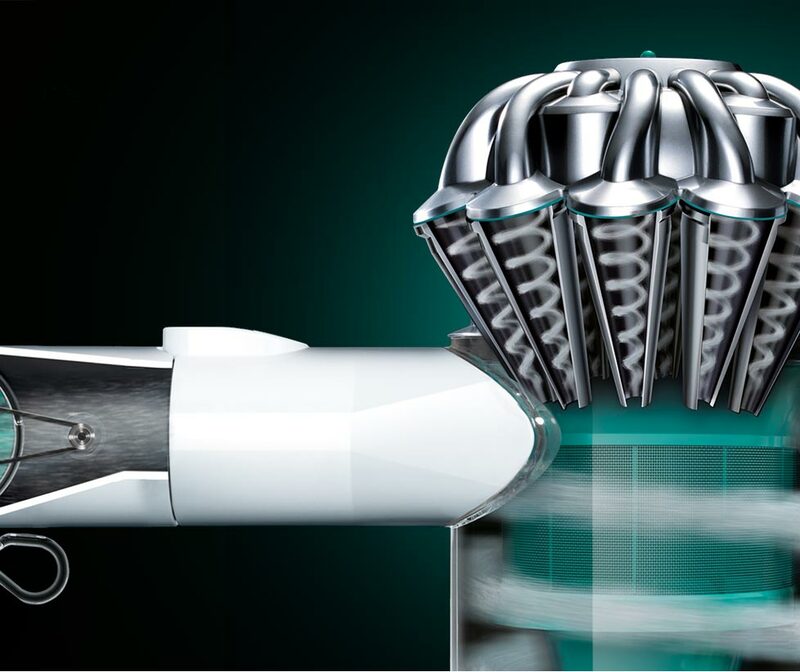 Digitally controlled, the motor spins at up to 110,000 rpm — three times faster than conventional motors. It generates powerful suction that penetrates deep into the mattress, removing the most house dust allergens from mattresses and futons. 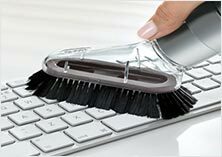 Cordless and Ergonomically Designed. With Extra Tools.